If you’ve been north on 281 in the spring, you might have noticed this old house on the northwest side of the highway. 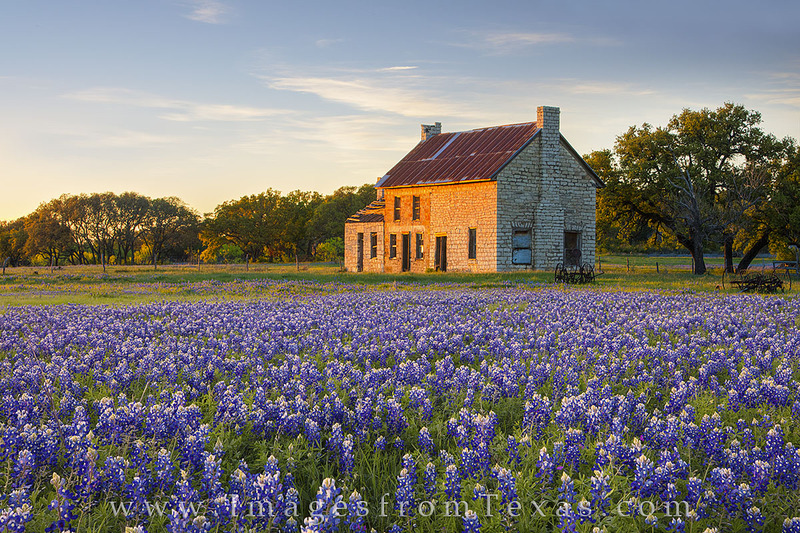 Sometimes in spring, it is surrounded with bluebonnets. There are some springs where nary a bluebonnet can be found. This Texas wildflower images was taken on a late evening at the end of March. The soft glow of the sun shines on the old brick building as another day in the Hill Country comes to a close. If you’ve been north on 281 in the spring, you might have noticed this old house on the northwest side of the highway. Sometimes in spring, it is surrounded with bluebonnets. There are some springs where nary a bluebonnet can be found. This Texas wildflower images was taken on a late evening at the end of March. The soft glow of the sun shines on the old brick building as another day in the Hill Country comes to a close. Photo © copyright by Rob Greebon.